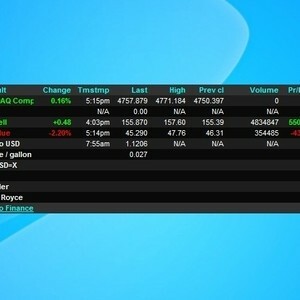 Want to be always updated with the stock market but you do not have time to check out the stats at a certain website? You may be able to know more about the stock market without having to make much effort as long as you have this gadget. 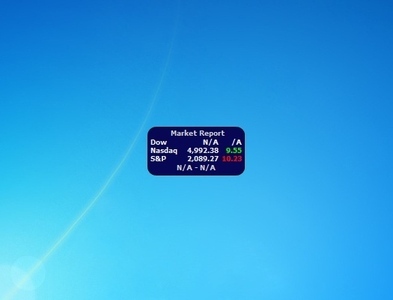 This small gadget that can be placed on the side of the screen can tell you the most important stock indices. The details will be displayed on your screen at all times and you can also move it around depending on where you think it will fit best. Place it on the side or even on top of your icons wherever you see fit. Hey Buddy!, I found this information for you: "Market Report". Here is the website link: http://www.gadgetskit.com/gadgets/market-report/. Thank you.